4 Celli. The original is for choir, and Verdi subtitles the work as “Based on an Enigmatic Scale”. 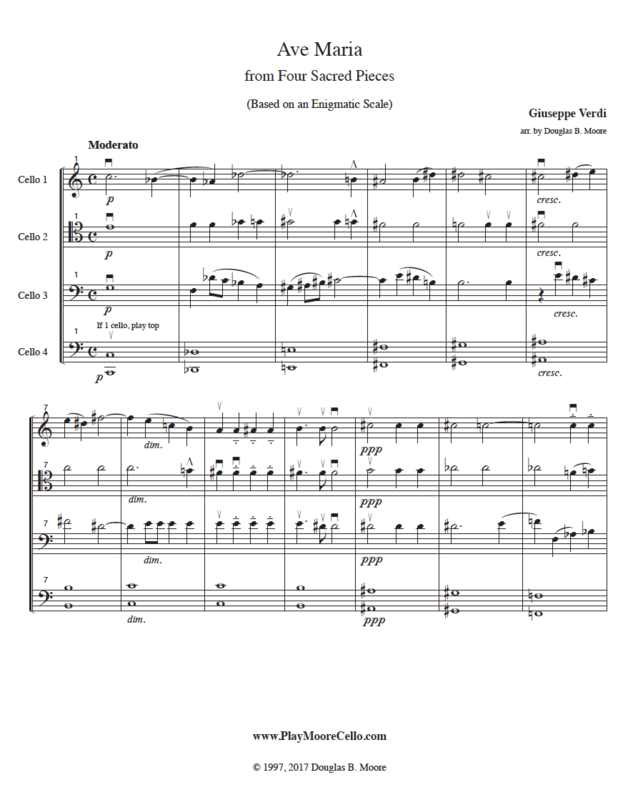 This arrangement is in the original range, with soprano and alto parts in treble and tenor clefs, and is appropriate for a cello quartet or an orchestra of celli with players of intermediate to advanced capability. Lush harmonies throughout.